Concept, task, and reference have served well as archetypes in technical publications, but are there others needed to serve the needs of the enterprise? Explore various techniques employed in learning theory and cognitive research that can extend the utility of DITA beyond technical publications. Learn how authors can focus on better content reuse. Join Scott Abel, The Content Wrangler, and Rob Hanna of Precision Content for this free, one-hour webinar where attendees will learn to work with Precision Content® information types, focus on writing blocks rather than topics, and apply rigor to titles and short descriptions. 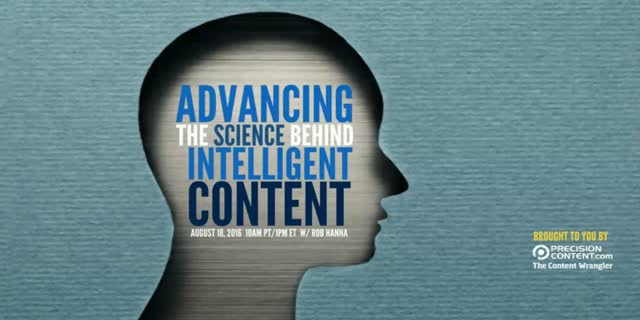 Please also join us for the first webinar in this series on July 21 (recorded after that date) — The Cognitive Science Behind Intelligent Content. Check out the Content Wrangler channel to sign up by July 21 to watch live, or you may watch the recording after July 21.